Chouchou place is a nice little cliff just above Gréolères. Despite an elevation of 1,000 m, the cliff is South facing and very hot so it is perfect for sunny winter days. 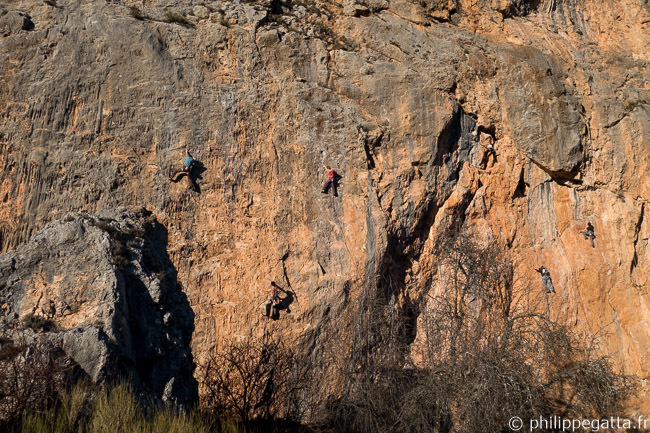 There are around 30 routes, vertical or slightly overhanging in a perfect technical wall. 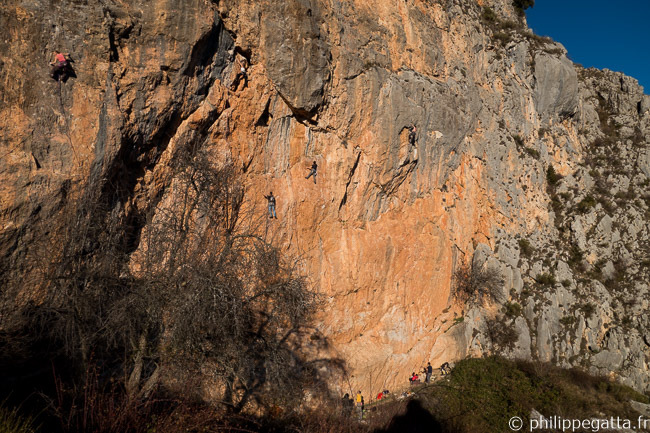 Last Sunday we climbed in shorts and tee-shirt, all routes were dry so no surprise that the cliff was very busy. This entry was posted in Climbing and tagged Chouchou place, Climbing. Bookmark the permalink. Both comments and trackbacks are currently closed.